Created to perfectly match our range of scrub top uniforms, our TR01 Ladies Pants with zip finish come in a wide variety of colour options, ranging from white and blue to more striking options such as wine or purple. 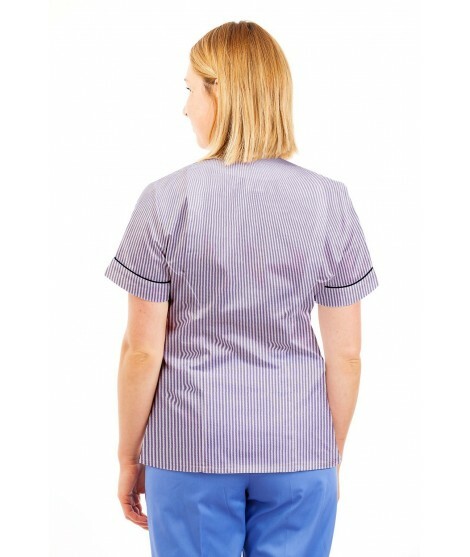 Nursing staff come back to buy our pants time after time - mainly because of durability - and at Medco Ltd, we make uniforms that not only last through repeated washing cycles but which continue to look well over time. Comfort and style are important too however, and this trouser’s bootleg finish and side pocket design are ideal for anyone on the go all the time.